The E-Fit 1280US device was developed for whole-body EMS workout, and to ensure that EMS trainings become the top choice for most people, with its great efficiency, nice feeling and amazing results. Today, E-Fit devices are the preferred solutions for tens of thousands of clients and trainers worldwide, due to its market-leading efficiency and unrivalled sensation. Thanks to popular state-of-the-art solutions, such as the innovative Impulse-Shift Technology (IST) and the Flexi Carbo-Plate Electrode (FCPE), E-Fit solutions are not only used in fitness and beauty sectors, but also in the medical and physiotherapy fields. The comfortable and highly durable technical wear is made from breathable material that not only makes them hygienic and easy to clean, but also allows complete freedom during exercises and perfectly keeps the electrodes on the appropriate muscle group. Professional E-Fit device for commercial use with microprocessor-controlled, pre-installed and fully configurable workout programs. 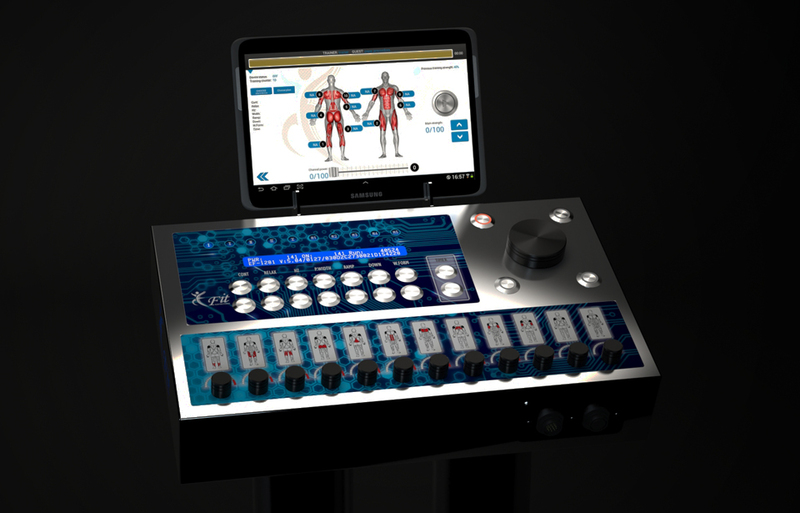 The 10-channel output allows the device a more flexible and complete electrode distribution throughout the entire body. It is suitable to train 10 muscle groups: biceps, triceps, lower back, upper back, pectoral, abs, gluteus, calves, quadriceps and hamstrings. If you need more information about E-Fit 1280US device or other fitness devices, please click here!